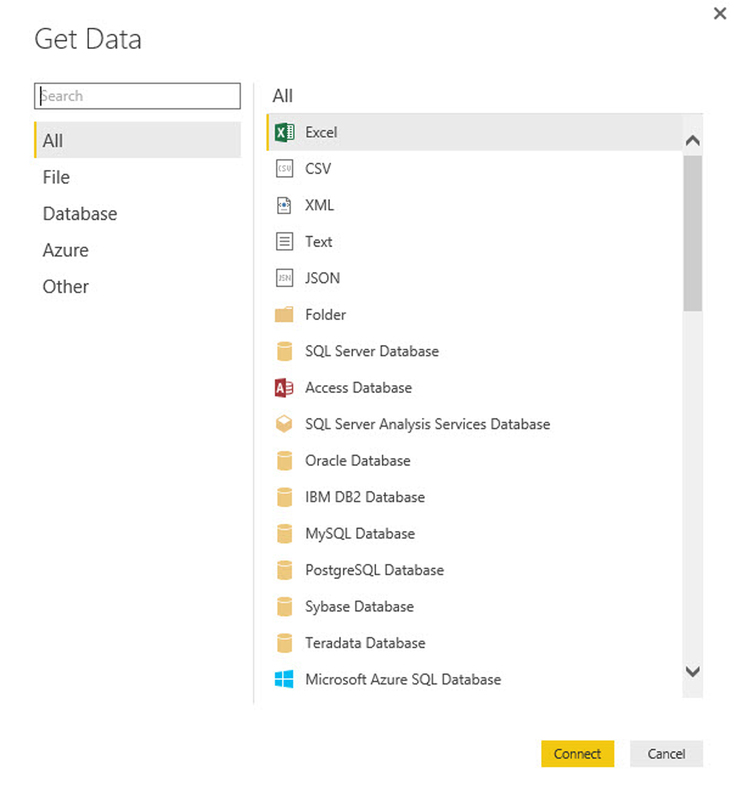 Have you ever heard of Power BI? 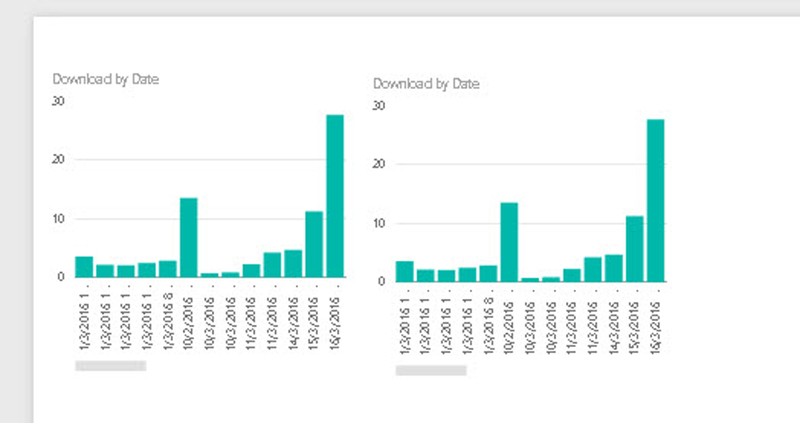 Produced free of charge by Microsoft, it’s a sort of a link between Power Query and Power Pivot and Business Intelligence. 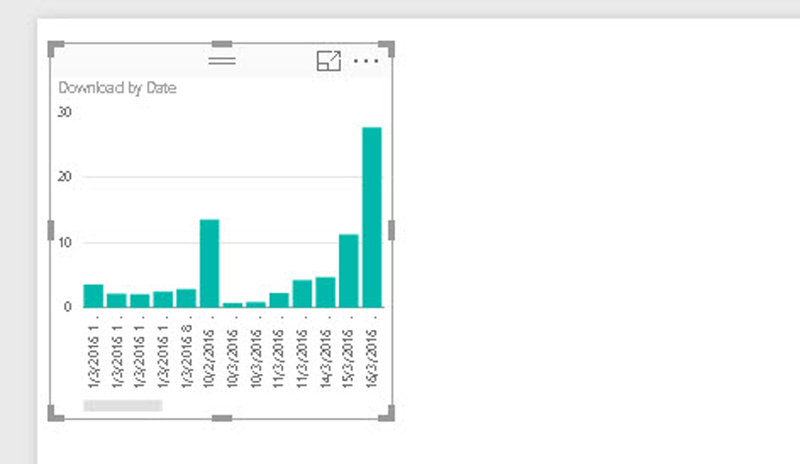 Whilst Power BI is a stand alone product, it is integrated with Excel and other software too. 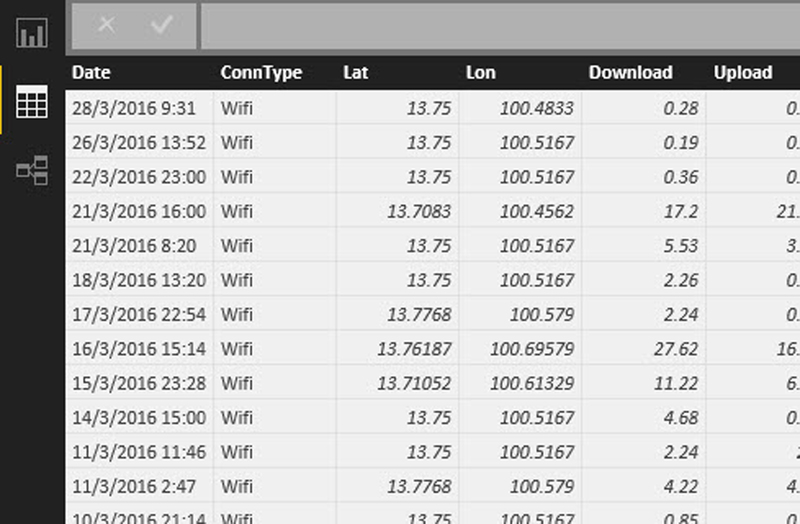 In fact, I checked these speeds using two devices so there is a similar but different file from the other device too. So? Now what? 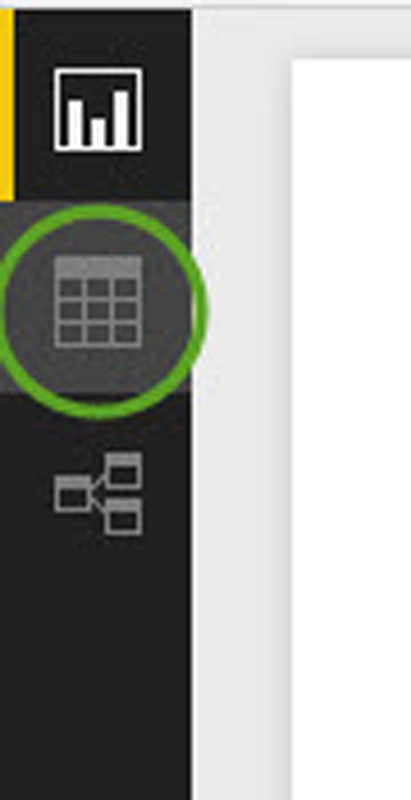 Excel can easily handle such files, can’t it! Yes it can and I analysed the data using Excel at first. I opened the files in Excel as CSV, copied and pasted them into the same worksheet, converted the range to a table … Ctrl+T and saved the file as an Excel file. 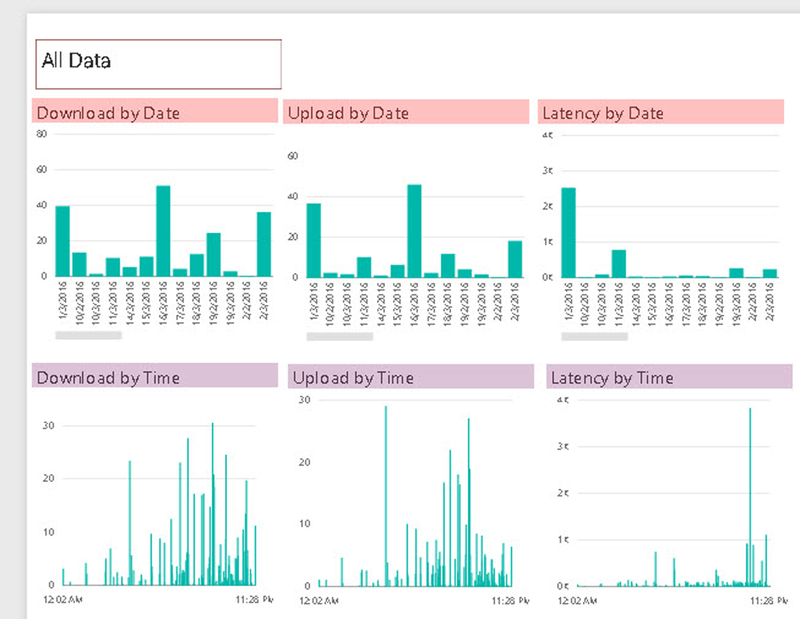 I also used Power BI, like this. 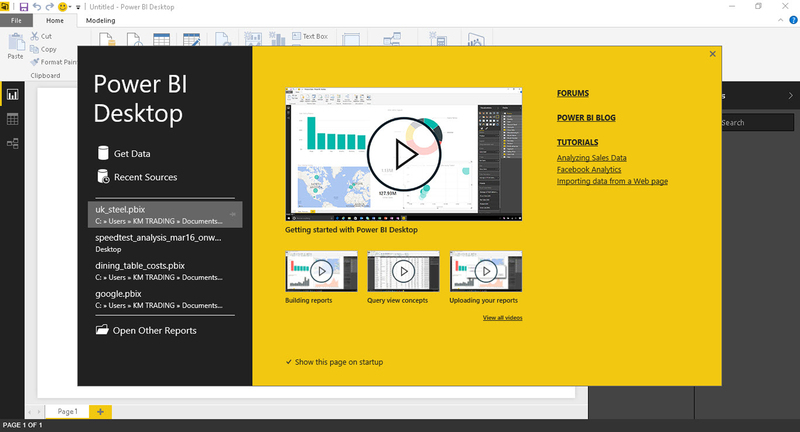 Opening Power BI can start with this splash screen, although you can turn it off! 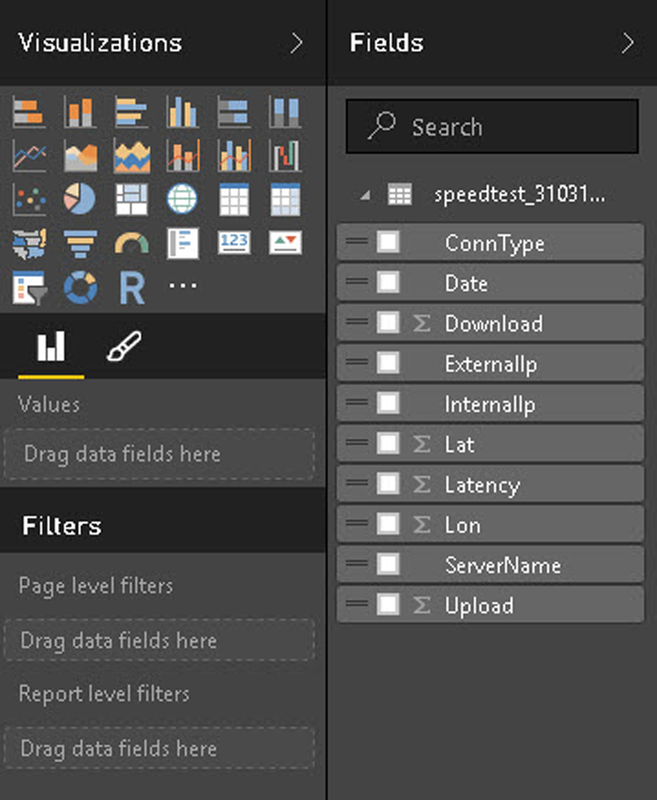 Get Power Bi from www.powerbi.com … free of charge! There are lots of examples and tutorials on the site too. 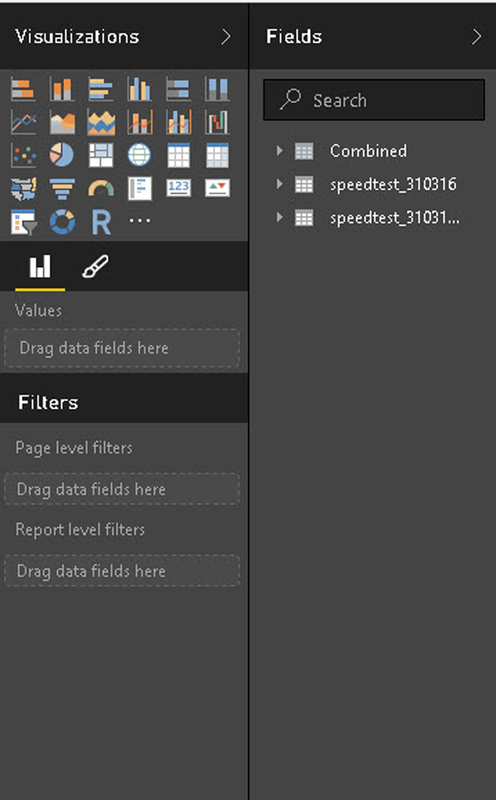 Notice, I am using Power Bi for Desktop and there are other versions! Maps of all data: notice how the speed test software included latitude and longitude: you can see where I checked the speed of my connection and by size of bubble how strong it was. 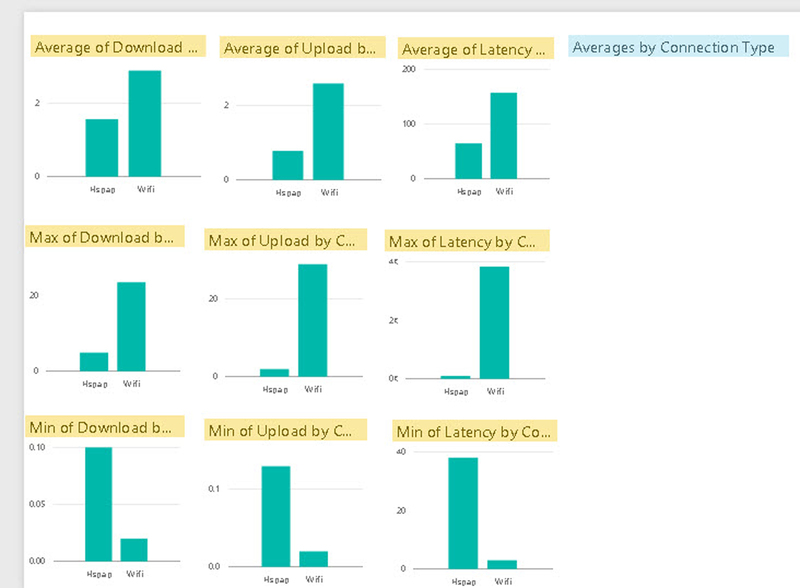 Averages, maxima and minima for my data alone: I chose column charts fro everything but there are many types of graph to choose from. When you are happy, click Close and Load and your data will be imported as a table. It’s now ready for your analysis. The fonts are a little small but let’s concentrate on creating visualisations for now. I edited the titles as well as the font size in the table by clicing on the paintbrush icone in the visualisation pane and making the appropriate selections … which are easy to use! 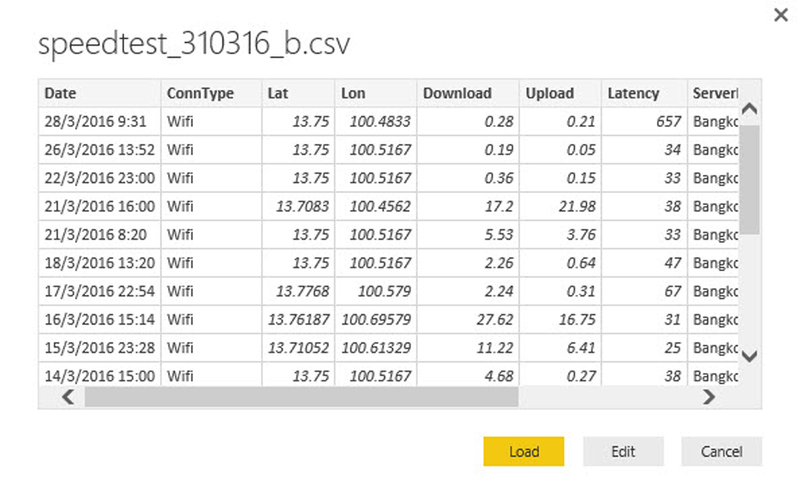 There you are: a whistlestop introduction to Power BI using a CSV file and analyse the results of the speedtest of my wifi connection. See my comment on downloading my files below. My apologies but I cannot upload the files here but please write to me, by email or comment here and I will send them to you.